The University of Northern Colorado is seeking the help of people with disabilities in an effort to improve the quality of mental health care available. Participants in this survey will be asked questions about quality of life, disability identity, and current relationships in order to better inform clinical practices in mental health. There are no right or wrong answers in this survey, which takes approximately 15-20 minutes to complete. 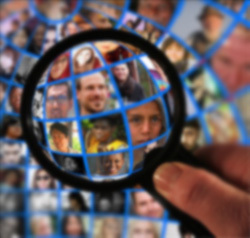 It does not ask for name or other identifying information; only a few basic demographic questions such as age range or gender, and all data will be reported in aggregate format. It is completely voluntary and one can stop or withdraw from participation at any point in the survey. If you are a person with a disability, consider contributing your experience to this survey. It could help improve mental health care for people with disabilities. More information is available in the introduction to the survey at the link below. With Christmas just past (While a number of us may be sleeping off our food comas or groaning about falling off our diets), and yet another feasting opportunity is coming up at the end of the month, this may seem a strange time to discuss food flavouring techniques, but think about it. After eating all those rich, tasty, decadent foods, it might be a bit of a let-down to go back to ordinary everyday eating. Except it doesn't have to be ordinary. 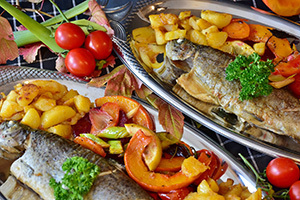 Try these suggestions to add some sparkle to your meals. You can surprise your taste buds with these healthy, appealing tips. Add flavor to your meals with herbs, spices, or low-fat marinades—bay leaf, chili powder, garlic, ginger, dry mustard, marjoram, black or white pepper or sage. Skip the salt. You won’t need it. Poach boneless skinless chicken breasts or fish fillets in low-fat and no-salt vegetable or broth or unsweetened fruit juice. Add fresh herbs to the liquid, such as basil, cilantro, dill, oregano, parsley or thyme, for even more flavor. Top a broiled chicken breast or poached fish with homemade salsa (chopped vegetables and/or fruits). If your breakfast cereal or dessert needs sweetening, avoid adding sugar. Instead, add a little cinnamon, nutmeg or vanilla. 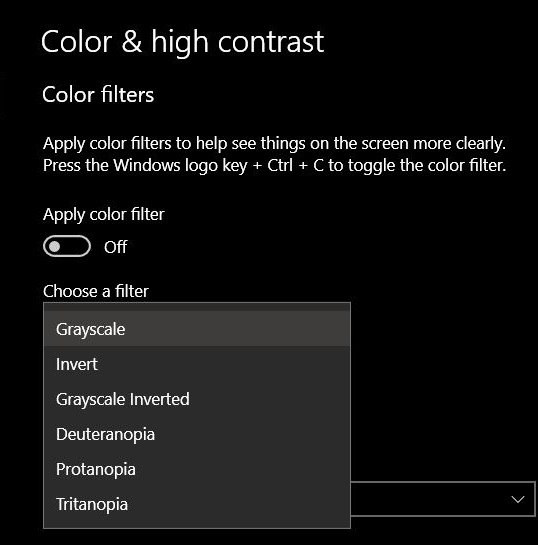 One of the new features in the Windows 10 Fall Creators Update from Microsoft® is called color filters and is supposed to help people with color blindness use the operating system just like anyone else. The new color filters are applied at system levels and include six different settings to make it easier for color-blind users to differentiate between colors, like red and green. 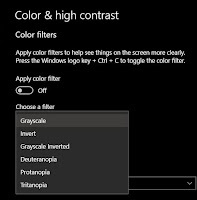 Furthermore, Microsoft says that its filters can help people with light sensitivity to create and consume content, as they adjust all displayed images no matter if they are part of the operating system or not. Setting them up does not require a system reboot and all changes are applied instantly. Editor's Note: Photos taken by iSkye Silverweb and uploaded into an album on Virtual Ability's Flickr® site, purely for example purposes. Holiday Shopping? Support Virtual Ability While You Shop! If you are one of many people who use Amazon.com, you can support Virtual Ability every time you shop. Just use https://smile.amazon.com/ch/26-0613580 to launch Amazon instead of the usual “www.Amazon.com”, and Amazon will automatically donate 0.5% of your purchase price to Virtual Ability, Inc.® There is no additional cost to you (or to VAI) whatsoever. Virtual Ability uses the funds generated by this program to help pay for our community services, including our Second Life and InWorldz islands. Just remember to use this link when you sign into Amazon, and you will be directly helping us! When first visiting AmazonSmile, customers select a charitable organization from almost one million eligible organizations. For eligible purchases at AmazonSmile, the AmazonSmile Foundation will donate 0.5% of the purchase price to the customer’s selected charitable organization.